The global adhesion barrier market is expected to witness a moderate growth during the forecast period 2018 – 2028, owing to rapid advancement in the healthcare sector. Extensive research and development in the medical field has aided the market to grow fast. Adhesion barriers are medical devices that are used to descend or reduce post-operative complications. Increasing geriatric population all across the world who are more vulnerable to various chronic diseases owing to low immunity has helped the market to move forward. Advent of newer forms of diseases coupled with enhanced treatment have increased demand for adhesion barrier devices all over the world. Rising incidence of chronic diseases such neurological, cancer, dental, ophthalmic, gynecological disorders which requires surgeries are predicted to aid the market. Apart from these, rising incidences of road accidents due to rise in youth population driving fast cars have favored the market to grow. Rapid urbanization along with rising preference for a healthy lifestyle is leading huge population to uptake various sports activities, resulting in increasing sports related injuries, causing market to expand. Rising cases of spinal injuries and paralysis have also contributed to the market growth. Geographically, North America led the global market owing to presence of major players in the region. Apart from these, rapid adoption of technology coupled with significant awareness of various types of treatment among the crowd is expected to make the region hold the position in the years to come. However, Asia Pacific region is anticipated to witness a stupendous growth in coming years owing to developing medical sector and stellar rise in medical tourism. Countries such as China, India, and Japan are expected to contribute the major share in the region owing to considerable funding by their government to boost the development of healthcare sector. Adhesion barriers are medical devices used with the intention to prevent or reduce adhesions in post-operative complications. World over, they have risen in significance as medical implant in reducing the incidence, extent, and severity of post-operative adhesions in patients after a range of surgeries, especially abdominal surgery, gynecological surgery, or pelvic laparotomy. The risk of adhesion formation is a serious concern in a number of hospitalization cases and in-patient surgeries all over the world. In several cases, the adhesion formation has been cause of second surgery in patient populations. The usage of adhesion barrier has been helpful in reducing the discomfort, increasing the mobility in patients, and enhancing the overall surgical outcomes. Constant research into the development of better and functional biomaterials will bolster their demand in various post-operative procedures. The rising risk of post-surgical adhesion in patient populations is a key factor driving the evolution of the demand for adhesion barrier devices and materials. These materials are rising in application driven by the rising incidence of new and reformed adhesions in patients who have undergone abdominal and gynecological procedures. The rising number of microsurgeries in patients with neurological disorders, coupled with the growing prevalence of these conditions, is a key factor fostering the demand for adhesion barrier products. 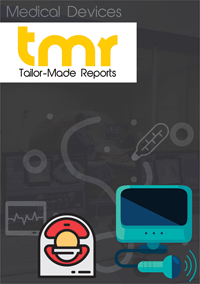 In recent years, the rising demand for these products in general and cardiovascular surgeries in various parts of the world is accentuating the market. Over the past few years, considerable advances have been made to improve of bio-absorbability and biocompatibility of the materials in adhesion barriers. The advent of novel biomaterials as anti-adhesive substrates has opened up new, exciting frontiers in the market. To this end, there have been growing number of research and development activities to explore the potential of such materials. This might pave way to next generation of adhesion barrier devices in the not-so-distant future. A group of researchers at Rutgers University, New Jersey, has demonstrated the potential of a biodegradable polymer complex to possess substantial anti-adhesion barrier properties. Their work was published online on August 2018 in a technology journal. The researchers in in vitro studies showed the use of a material known as Polyelectrolyte complex characterized by oppositely charged polymers effective in reducing the post-surgical adhesion formation, especially after abdominal surgery. Such research initiatives take the line of work on developing adhesion barrier solutions further, and aim at reducing the inflammatory response or efficacy of these solutions. The currently developed material is based on the principle of substrate-cells electrostatic interactions. Industry efforts to commercialize such products in surgeries may be helpful in reducing the substantial expenditure in hospitals due to adhesion formation. The study offers insights into the dynamics of key regional markets and takes a closer look at prevailing and emerging avenues. Regions that are equipped with technologically-advanced healthcare are expected to prove immensely lucrative. This might be a key factor behind the growing lucrativeness of regions such as North America. Emerging regions such as numerous economies of Asia Pacific are expected to witness promising demand for adhesion barrier products. The rise in medical tourism in developing regions is creating promising avenues for market players. The study assesses the prevailing degree of competition intensity in the overall adhesion barrier market. To this end, it offers in-depth insight into the key strategies adopted by players to either gain a foothold in their market or to consolidate their positions across various geographic regions. Top players are focusing on new product launches and are making strategic partnerships to stay ahead of others. Prominent players operating in the market include Innocoll Holdings PLC., MAST Biosurgery, Inc., FzioMed, Inc., Atrium Medical Corporation, Anika Therapeutics, Inc., Integra LifeSciences Holdings Corporation, Becton, Dickinson and Company, Baxter International, Inc., and Sanofi S.A.